We all know the vintage craze has been around for as long as, as, slice bread? Well, maybe not. Unless people in 1928 – yes, I Googled ‘when was slice bread invented’ – wore clothes from the 1880’s and called them ‘vintage’. Anyway, you get the drift, vintage is cool.has been a trend for some time.etc. etc. But lately, in Dublin, vintage kilo sale events have started popping up all over the place. 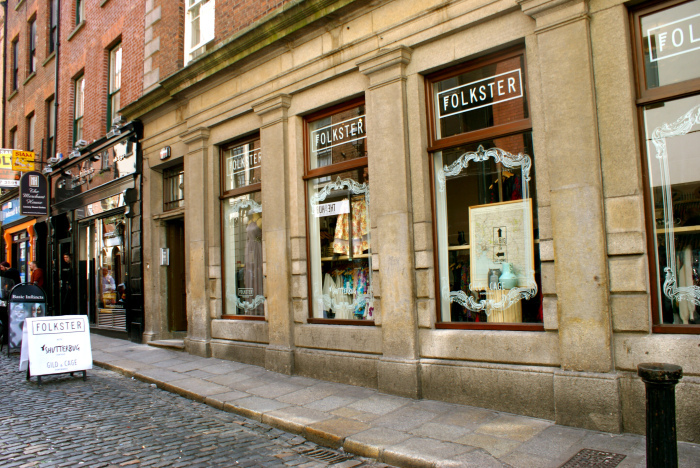 The lovely folk at Folkster, started the ball rolling and have hosted several, excellently organised, kilo sales in Dublin and their native Kilkenny. I have been to the events in both cities, and have always purchased great finds. And at €20 a kilo – that’s 3 to 4 items of clothing, depending on weight – it is worth the queuing and general rummaging around in the crowded warehouse. Now, others are cottoning on to the trend and this Saturday, Tola Vintage – a great store in Temple Bar – are hosting a kilo sale in the Radisson Blu Hotel, Golden Lane. On April 26th, Hunt & Gather will join forces with Dublin Vintage Factory and host their own sale in Hangar, Temple Bar. Great venue name, by the way! This surge of vintage kilo sale action prompted me to name some of my favourite vintage stores in the capital. We all love them, and don’t want to see all this kilo madness take away from some great stores, with owners who have a passion for old, beautifully made pieces. In fairness, you won’t find many exquisite and unique pieces of vintage that are available in these five stores at a kilo sale, with hundreds of rails, and even more people. LOVE IT. This store is great for many reasons. Firstly, if you are looking for something colourful, fun and unique for your Saturday night on the tiles, this is the place to go. I love the array of patterns, eras and rainbow colours on sale downstairs, just like the staff, the clothes scream FUN, FUN, FUN! In December, I picked up five dresses from the Om Diva ladies at the Smithfield Christmas Market, all of which I adore and constantly complimented on. On the ground floor they have a fantastic selection of costume jewellery, and of course upstairs they stock some of Ireland’s newest, home grown designers. Bravo ladies. Right across the street from Om Diva, is the vintage mecca that is, Jenny Vander. This store is like travelling back in time, or visiting you fabulously eccentric and fashionable granny’s attic. This treasure trove stocks exquisite jewellery and flamboyant headgear, that all look as if there is a deep story behind them. These are no ‘kilo sale’ clothes. These are the real deal. 1920’s cocktail dresses, feathered hats, bridal, quality pieces at the higher price bracket – and deservidly so. 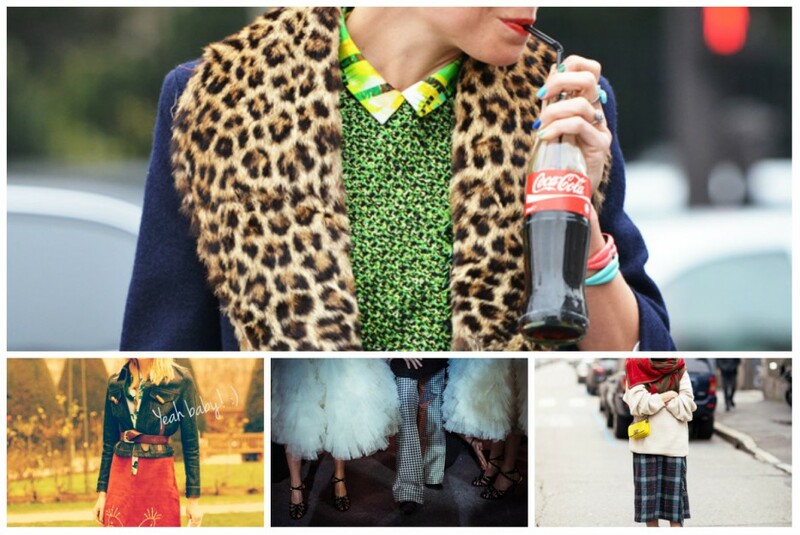 Check it out, its worth a look even if you are not a vintage wearer. On the other end of the spectrum, Tola Vintage is all about the ‘trendy’ vintage pieces that everyone is wearing right now. High-waisted ‘mom’ Levi jeans, shell tracksuit tops, 80’s shirts, you get the picture. Its the cool kids vintage du jour. The store is great, and if you like the more contemporary vintage streetstyle trends, this is the place to go in Dublin town. And, as mentioned, they are hosting a kilo sale this weekend. As mentioned, these folk started the kilo sale trend, but their Temple Bar store is much more than vintage. 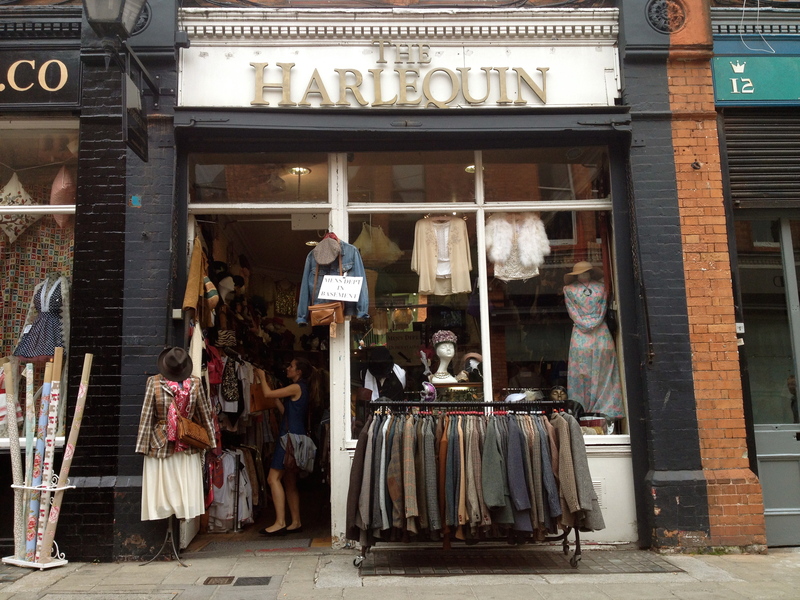 It is one of the nicest shops to go into in Dublin right now, they have a mix of fantastic, on trend vintage finds, along with great LA and European labels that are not stocked anywhere else in Ireland. The wall of bling would make any magpie get tiny little goosebumps, and to a newly engaged lady like myself, their bridal range is unique, with a vintage theme, allowing you to be the kind of bride you would like rather than what your mother might like. They also have a homewear section, prepare to drool. Ah, The Harlequin. 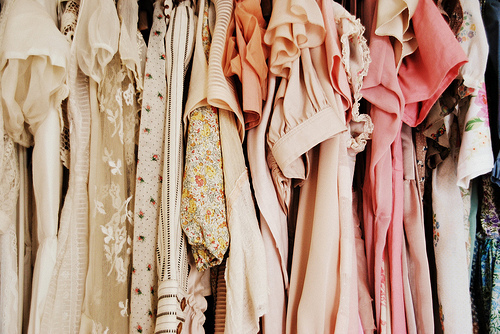 I could lose hours in this vintage closet – and I have. This is just a straight up, no fuss, deadly vintage shop. You want a tweed jacket, you want a pair of show stopping cowboy boots, you want a dicky bow or a turban? Go here. You will find every vintage inspired outfit you’ve ever wanted, and ones you didn’t know you wanted. It reminds me of all the best vintage shops in London and NYC, that have been around forever, know what people like, and don’t overcharge them for it. Simples. I could go on, five doesn’t sound like a lot. 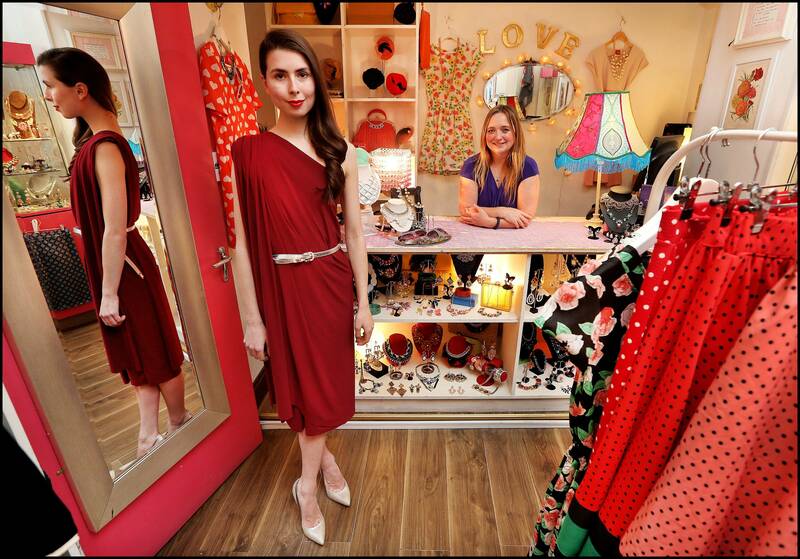 Wait for Part 2, ‘The Next Top 5 Vintage Shops in Dublin’.